At Grassano there was a young workman, about twenty years old, Carmelo Coiro, a husky fellow with a square sun-burned face, who came often in the evening to drink a glass of wine at Frisco’s inn. 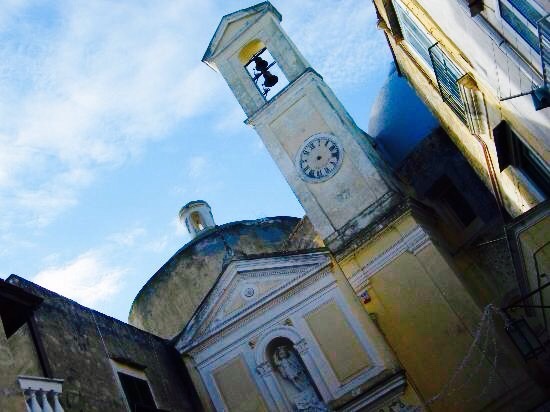 He was a day labourer in the fields or on the roads, but his dream was to be a bicycle racer…at this time Carmelo was one of a group of road-menders who were repairing the road to Irsina along the Bilioso, a malaria-ridden stream that flows past Grottole into the Basento River. During the hottest hours of the day, when work was impossible, the road-menders used to go to sleep in a natural cave, one of many dotting the whole of the valley, and formerly a brigand hideout. 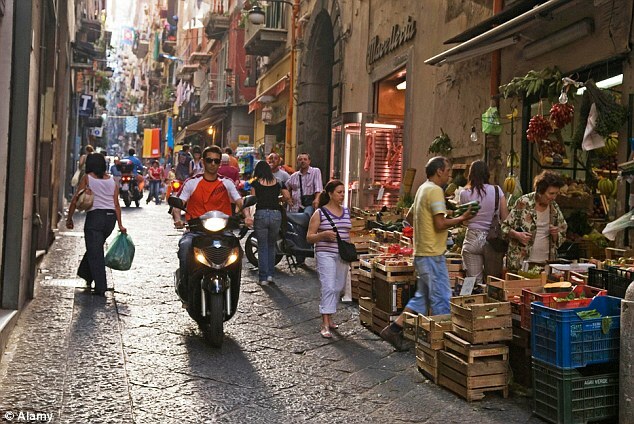 ‘If you have a hankering for somewhere ancient and aromatic, shadowy and mysterious, laden with centuries of history, somewhere not yet quite 20th century, let alone 21st, then Naples is the place for you: colourful markets, anarchic traffic, washing hanging out on balconies next to gorgeous, crumbling baroque churches — and humanity, in all its noisy, squabbling vigour, living its life out in the cobbled streets and the piazzas’. The Daily Mail’s writer liked Naples in all its gritty glory. So do we. More about Naples here. Naples graffito featured image from WordPress Blogger The Daily Norm. More Freed in Naples here. With your light, enlighten us. Under your wings, protect us. With your sword, defend us. With your power, strengthen us. With your love, impassion us. Vesuvius, Posillipo, Nisida and Capo Miseno today in the mist from the old Bourbon prison on Procida. The ballroom was all golden; smoothed on cornices, stippled on door-frames, damascened pale, almost silvery, over darker gold on door panels and on the shutters which covered and annulled the windows, conferring on the room the look of some superb jewel-case shut off from an unworthy world. It was not the flashy gilding which decorators slap on nowadays, but a faded gold, pale as the hair of certain Nordic children, determinedly hiding its value under a muted use of precious material intended to let beauty be seen and cost forgotten. 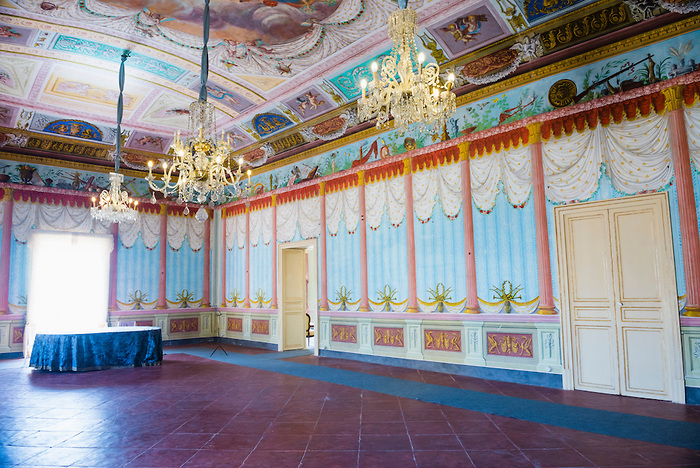 Here and there on the panels were knots of rococo flowers in a colour so faint as to seem just an ephemeral pink reflected from the chandeliers. O splendour-loving city, most beautiful on earth, home of Persephone; you who inhabit the hill of well-built dwellings above the banks of sheep-pasturing Akragas: be propitious, and with the goodwill of gods and men, mistress, receive this victory garland from Pytho in honor of renowned Midas. The remains of the ‘splendour-loving city’ of 2,500 years ago can today be visited at the Valle dei Templi, a archaeological site in Agrigento, Sicily. It is one of the most outstanding remaining examples of Greater Grecian (Magna Graecia) art and architecture, and is a UNESCO world heritage site. Poem by the Greek Pindar. Pythian Ode XII 1 – 6.